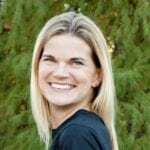 Chilly winter months often leads to stir crazy kids, dry skin, and parents at the end of their sanity! 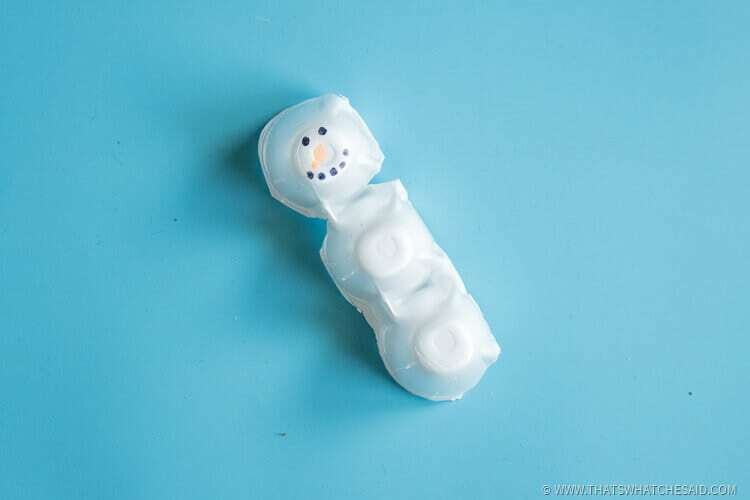 I’ve partnered with Vaseline® Intensive Care™ Essential Healing Lotion to bring you this fun Snowman Egg Carton Craft. 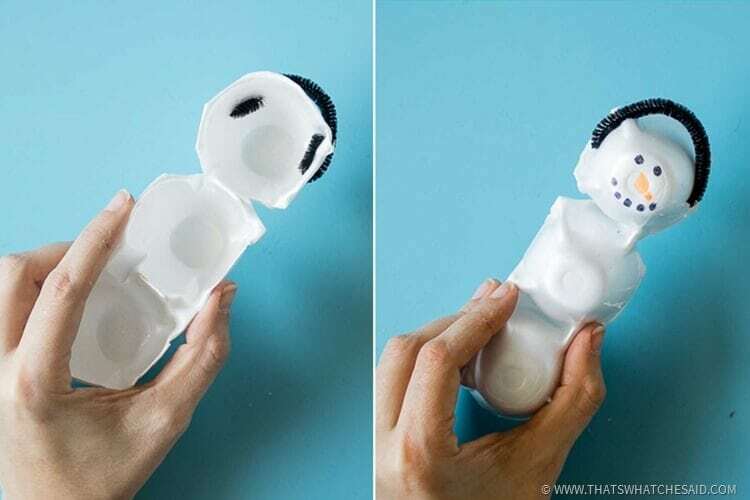 Let the kids get creative while you take some time to keep your skin healthy! Brrr…winter can be brutal. Not only to our mental state, & being stuck inside, but to our skin as well! 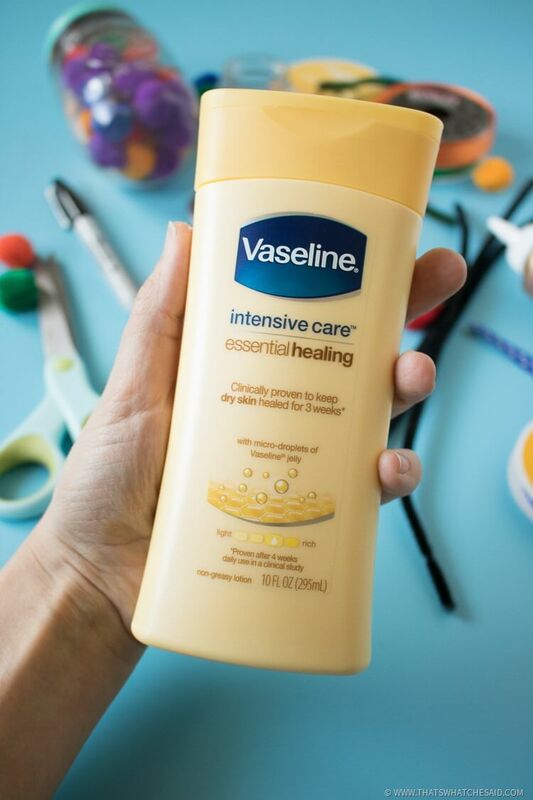 One of my most favorite things I keep on hand every winter is this Vaseline® Essential Healing. 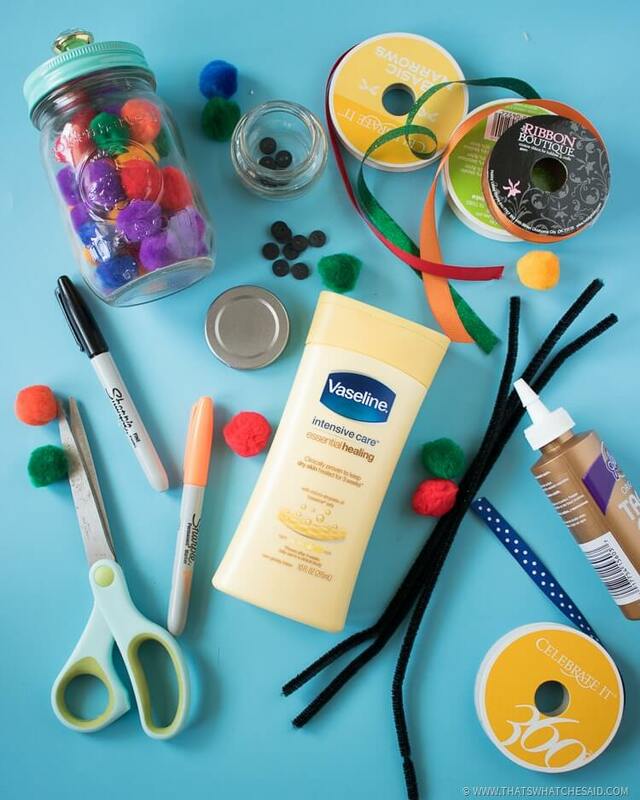 I have super, super dry skin in the winter and with constant hand washing for germs, for paint, for glitter-glue, I rely on Vaseline® Essential Healing to keep my hands and skin happy during these brutal winter months. Vaseline® Intensive Care™ Essential Healing Lotion leaves skin deeply moisturized and looking noticeably healthier. 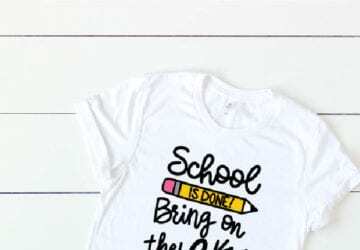 If your kids are going stir crazy too, why not set them up to be creative! 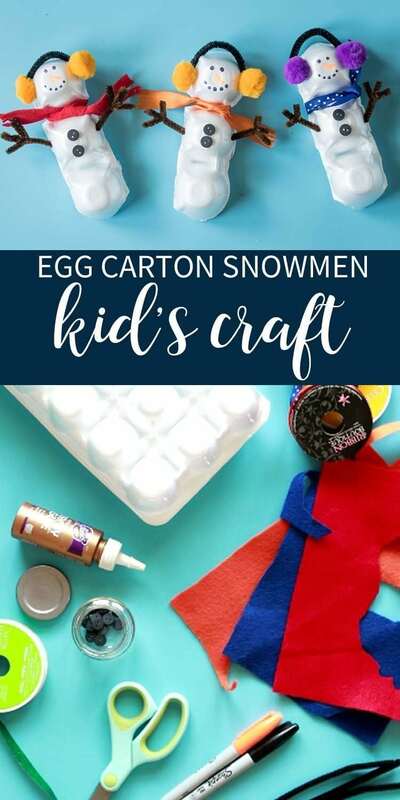 You only need some basic craft supplies along with a white egg carton to make these adorable Snowman Egg Carton Craft. 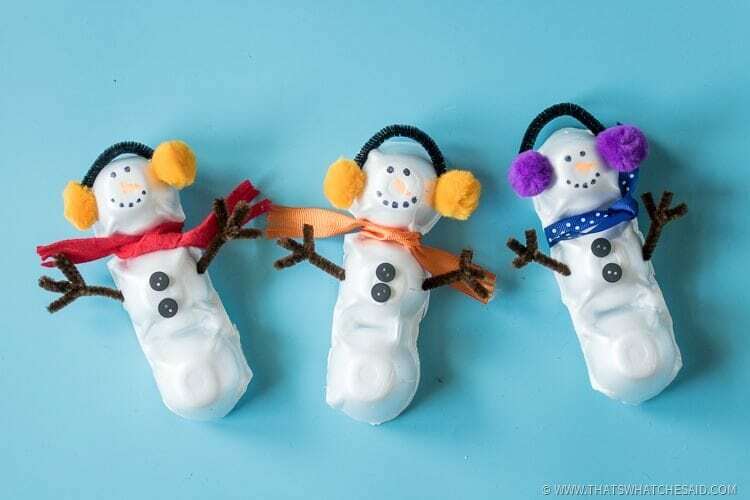 When finished they look adorable along a photo frame, on the fridge or even strung up as garland. Next, I cut a black pipe cleaner in half. 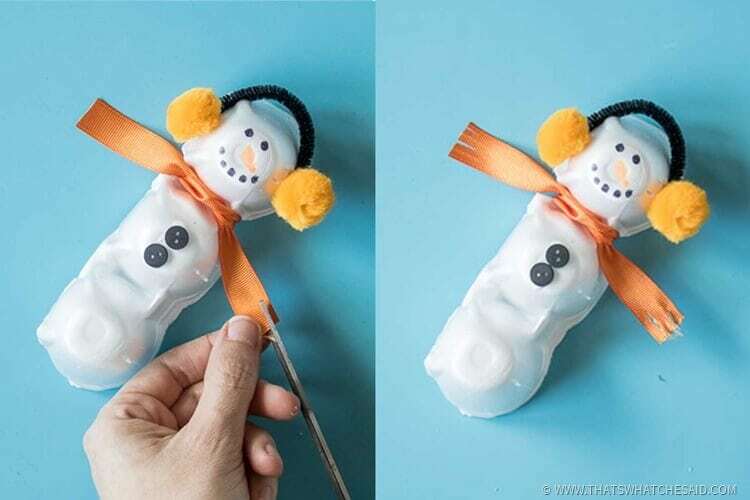 Then carefully poke the wire of the pipe cleaner through the egg carton on the side of the snowman head. 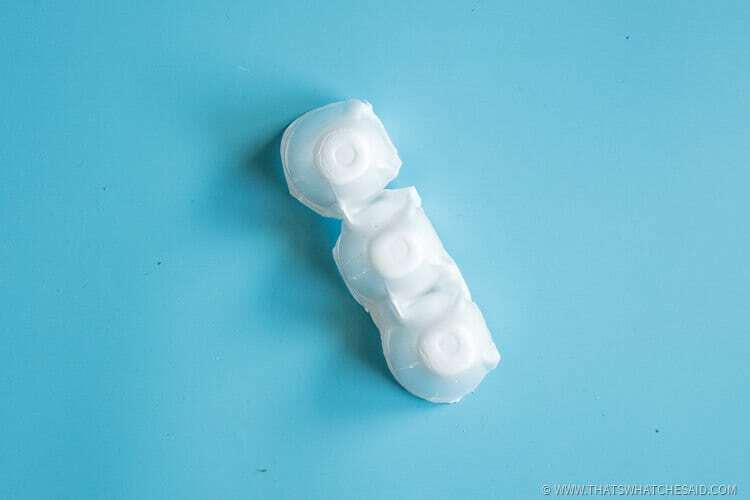 We will be making the connector part of ear muffs! Wrap it around the head and repeat on the other side. 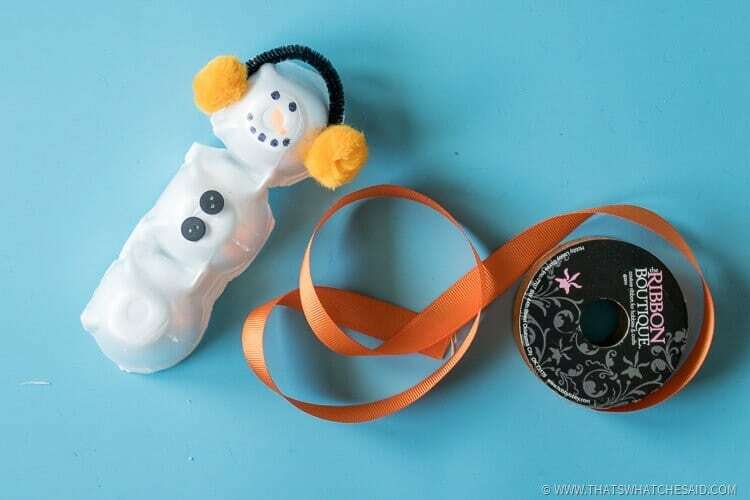 On the inside of the snowman, fold up the edges of the pipe cleaner so it stays in place. Now you have the start of your ear muffs! Now using some tacky glue (this works best as it’s safe for kids to use i.e. 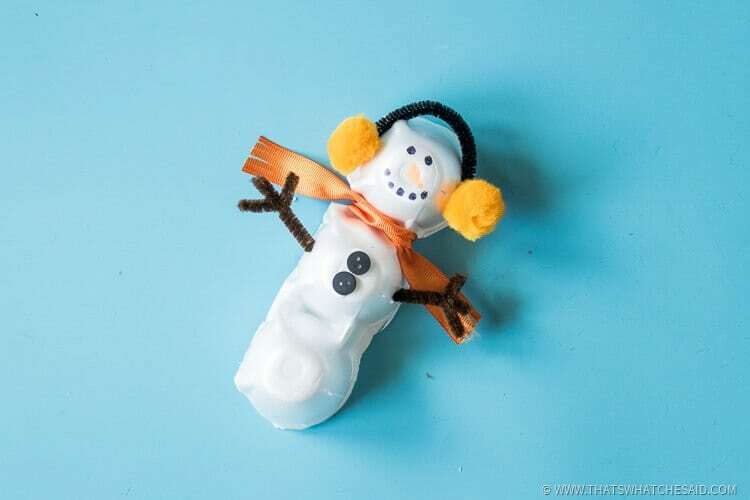 not hot glue, but tacky enough to actually stick. School Glue works but requires a bit more patience to stay in place! ) 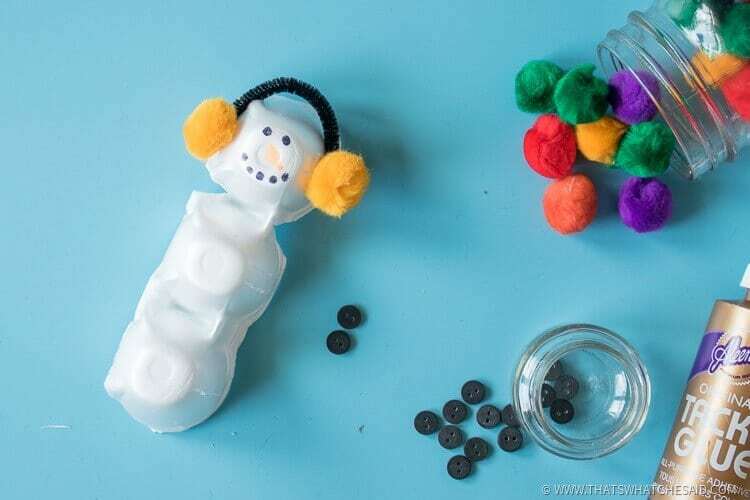 we will add the pom poms and buttons on our snowman! Next we are going to make our scarf. You can use anything you have on hand for this! Some things that work great are ribbon, felt and fabric. Use scraps if you have them. 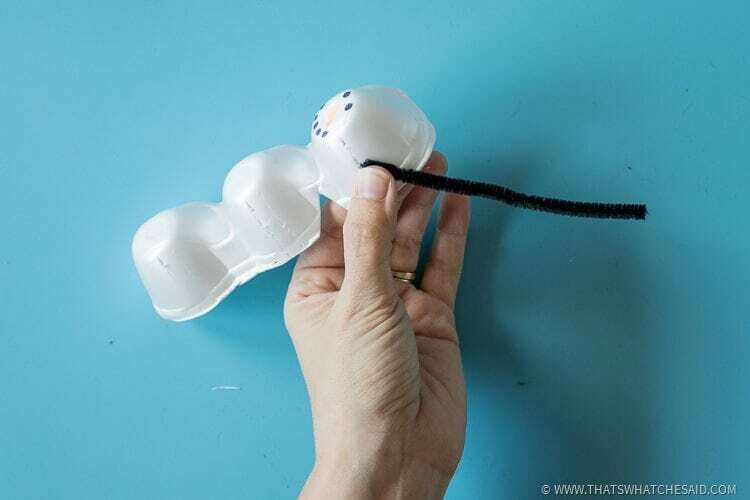 You just need a strip/piece long enough to wrap around your egg carton. 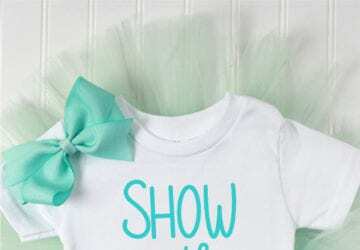 I am going to use 3/4” ribbon for this one! This is where those notches come in handy! Just cut a strip and tie in a knot. 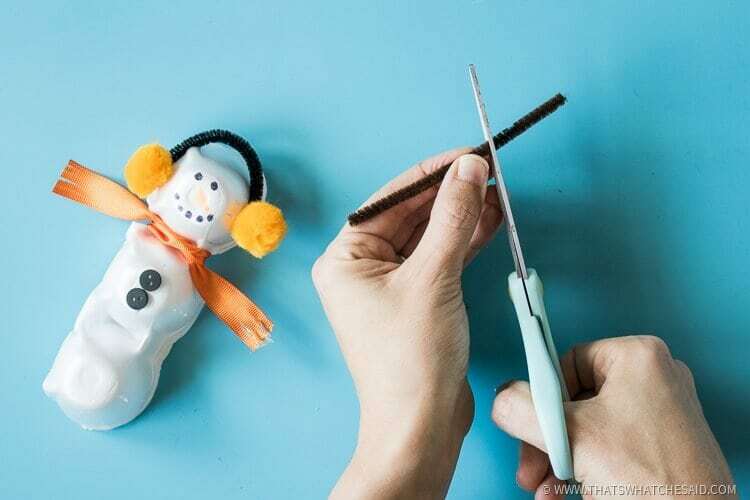 You can use some scissors to carefully add fringe to his scarf if you’d like! 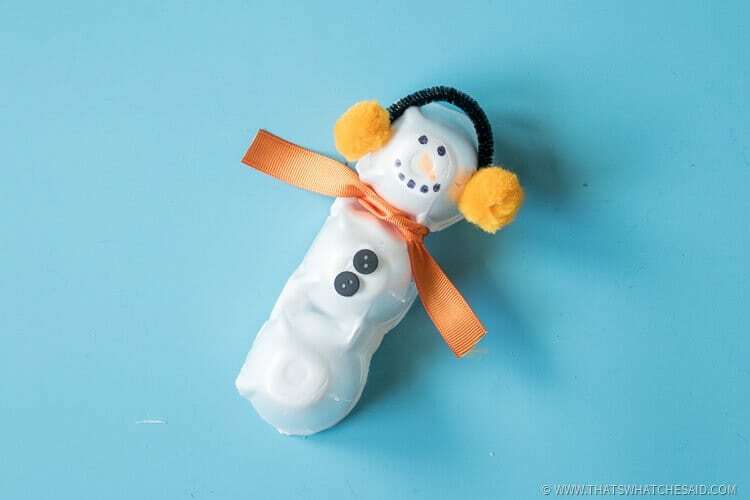 Last we are going to give him some arms using the brown pipe cleaner! 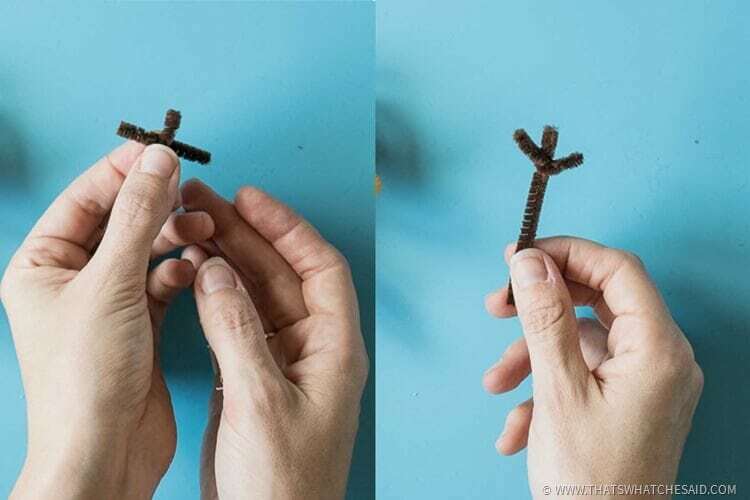 Cut your brown pipe cleaner in half. Then from that half piece, cut about 1”-1.5” from the end to create two pieces. Take your small piece and wrap it round the larger piece to make a hand/arm. Then same as you inserted the black pipe cleaner, carefully insert these in the middle section and fold the backs again to keep in place. 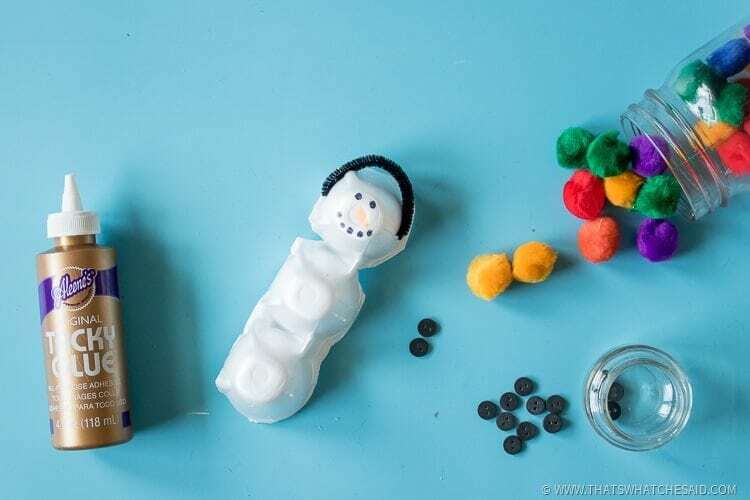 Add in some more snowman friends and you have a fun little winter craft idea to keep the kids busy! 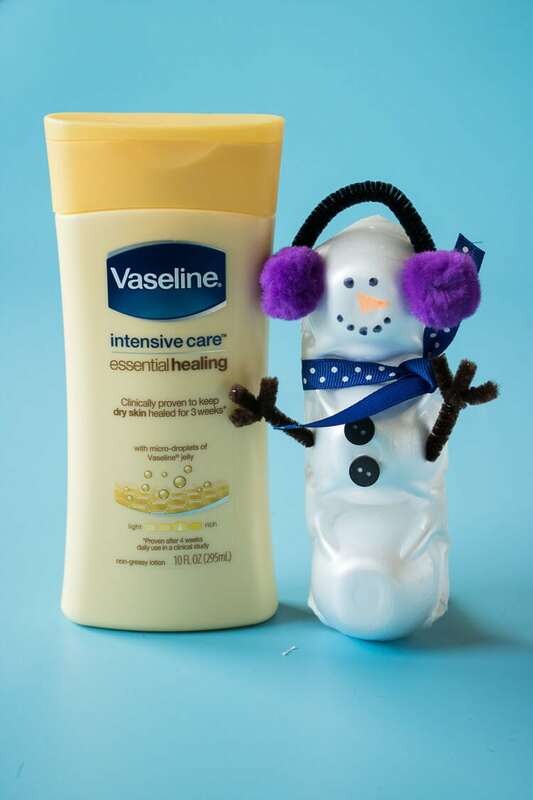 Don’t forget to keep your Vaseline® Intensive Care™ Essential Healing Lotion on hand for keeping your skin nourished during these long winter months! You can find it and All Vaseline® Intensive Care® lotions at Walmart and other food, drug and mass retailers nationwide. Gentle enough to use daily but powerful enough for the deep healing moisturizers plus Vaseline® Jelly to absorb deeply and heal dry skin.